Are you in search of an idyllic couples’ getaway? Or are you looking to surprise your other half with a luxury break in the sun? The db San Antonio and Spa is ideal for couples looking to relax and escape the pressures and stresses of everyday life. At the db San Antonio Hotel and Spa they offer couples large, spacious rooms all of which have balconies and come with room service and a mini bar. Once you have settled in take a stroll around the hotel. As of August 2016 they are accredited as a 4 Star Superior hotel. This is due to the spacious rooms as well as the wonderful facilities it has to offer. There are three pristine pools where you can take a dip and cool off. Make sure you head up to the rooftop pool and bar area and enjoy a romantic drink as you watch the sun go down over St. Paul’s Bay. 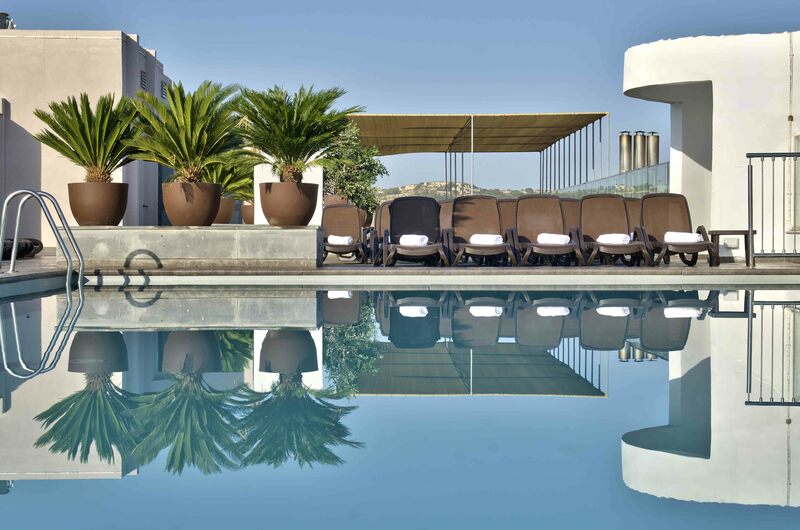 The adult only roof top pool deck and bar area showcases fantastic sea views and a panoramic vista over the town of Qawra as well as a chic infinity pool. 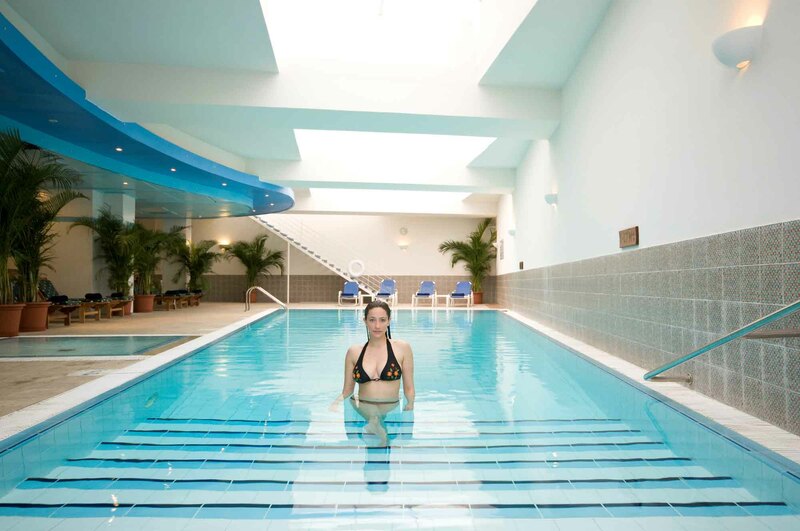 Relax and unwind in our luxurious spa and wellness centre. Here we offer a selection of relaxing treatments to allow our guests to fully unwind as well as Jacuzzis, steam rooms and saunas. They even have their own private Jacuzzi, Sultan’s Bath, especially so couples can enjoy some quality time together. The wellness centre comes with a wonderful, fully equipped gym for couples looking to stay active while away. When it comes to eating, you and your partner can choose from any of the five themed restaurants for a romantic dining experience every night of your holiday. Continue the evening in one of the trendy bars situated in the hotel, before heading into Qawra where its beach side promenade hosts a plethora of stylish sea front bars. If you and your other half fancy letting your hair down you can find night clubs and even a casino just a few minutes’ walk from the hotel. 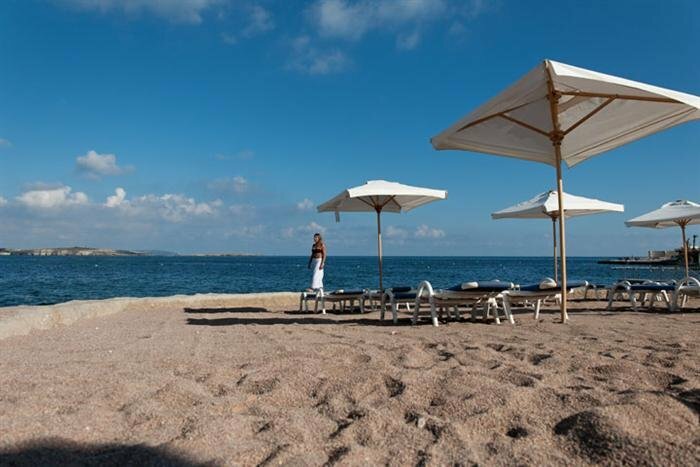 Just a two minute walk from the db San Antonio Hotel and Spa is Qawra beach which provides a whole host of seaside activities for you and your partner to try out. Sit back and enjoy the peaceful sound of the waves lapping on the shore on one of the sun loungers or take a boat trip to the lagoons situated around the coast. Qawra is the ideal hub to explore Malta. With good transport links to the main towns and beaches, as well as car hire options, couples can easily discover everything the island has to offer. Discover the breath-taking architecture of the World Heritage Site and capital of the island, Valletta, whose character has been influenced by centuries of foreign rule, or drive to one of Malta’s beautiful beaches. Malta’s sheer abundance of archaeological sites gives you an insight into its varied historical past. Take a trip with your partner and discover ancient city of Mdina, only a half an hour drive away, or visit the World Heritage Site of Megalithic temples dotted around the island. Looking to try something different with your partner? 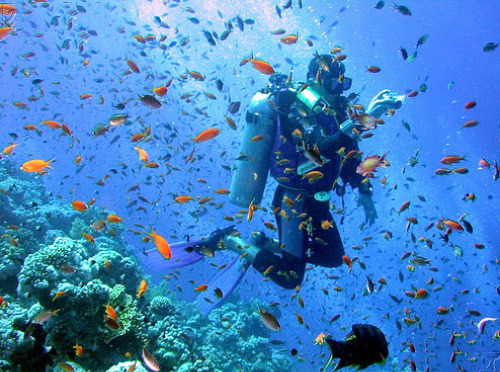 Malta is famous for its diverse range of dive sites off its Northern coast. The waters around Malta are some of the clearest in the world and full of flourishing marine life and ship wrecks. Luckily for guests, Qawra is situated right in the heart of the north coast and provides easy access to all the key sites you won’t want to miss. Whether you are an experienced diver or a complete beginner, the incredible natural beauty of the dive sites around the island will leave you and your partner wanting more. Whether you are looking for a relaxing break with your partner or an active stay, at the db San Antonio Hotel and Spa, the spacious rooms and state of the art facilities will ensure you have the perfect holiday with your partner. At Chevron we have several hotels designed especially for couples. You can have a look at our other hotels available for couples here. Remember, we have an all-inclusive option at the db San Antonio Hotel and Spa for couples who truly want to relax during their stay. The all-inclusive package comes with all meals, snacks and beverages included as well as a host of activities. Check out everything available to all-inclusive couples in the ‘Facilities’ tab at the bottom of the San Antonio home page.